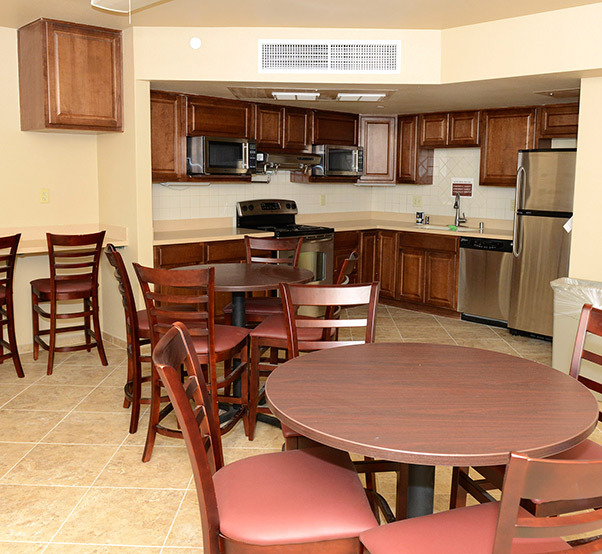 Centrally located for all occupants is a full-sized kitchen and eating area. Renovations to Dorm 2423 have recently been completed with Airmen slowly moving into their new home. The $6.8 million project began almost two years ago, with the last renovation done in 1994. 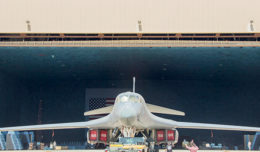 Some Airmen stationed at Edwards are now moving into a long anticipated new home. The completion of a major renovation of Dormitory 2423 introduces more modern living, constructed in an apartment-style configuration. Fifty-six bedrooms are arranged in 18 suites; 16 suites shared by three Airmen and two shared by four Airmen. Each suite is entered through a combined living area and kitchenette that opens into individual bedrooms surrounding a small hall. Vinyl plank flooring runs through the living area and hall, while bedrooms are carpeted. The living area in each suite is furnished with a sofa and table with connections for a television. Each kitchenette includes Corian counters with a breakfast bar, cooktop with hood, microwave/convection oven, refrigerator, dishwasher and sink with garbage disposal. Conveniently located centrally in each suite hall is a stacked commercial-type washer and dryer set. Airmen can now do laundry in their own home and not lug laundry baskets to and from central laundry rooms. 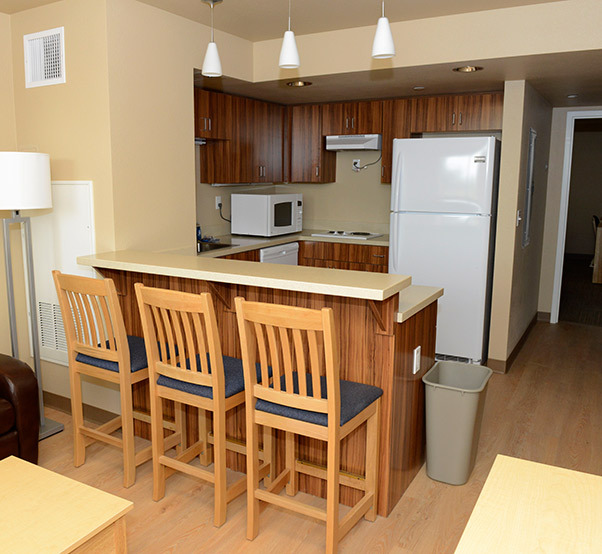 The kitchenette and common area of a three-bedroom suite in Dorm 2423. Air Force dormitory adequacy standards changed in 1996 to allow a room for every Airman with two Airmen sharing a bath and a kitchenette. In 2003, the current Dorms-4-Airmen standard was established to allow each resident a private room and bath in a suite setting. 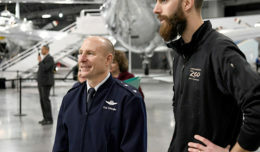 Perhaps the most desirable aspect of the design is that each Airman, for the first time here, will have a private bath connected to their bedroom. Baths are nicely appointed with a combination tub and shower, ceramic floor and wall tiles, a Corian vanity and mirrored medicine cabinet. Individuals have control of the temperature in their bedrooms and have plenty of overhead lighting. Blackout shades and blinds are on all windows so occupants can adjust natural light to their preference. The room is complete with wood furnishings: an adjustable bed, nightstand, three chests, and a desk with chair. Chests may be stacked or fit under the bed to provide choices for room configuration. There are television/communication outlets on two walls in each room. 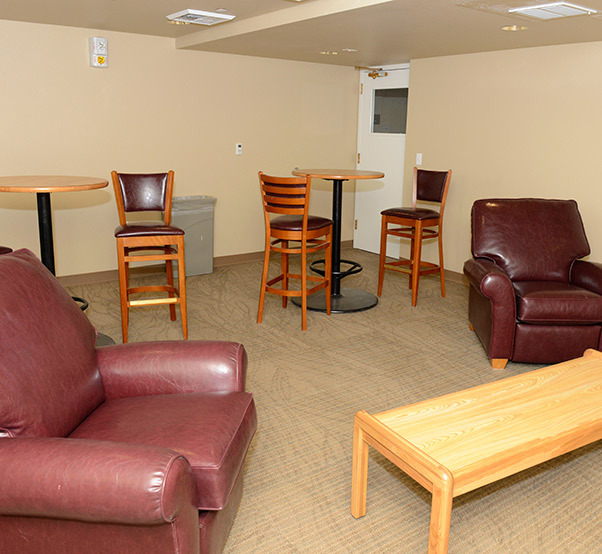 A central foyer welcomes Airmen to the shared common areas in the building and includes an entrance to the new location of the Consolidated Dormitory Management Office, a vending machine area and personal mailboxes. Stairs lead up to a full-sized kitchen, two lounges and a game room for larger groups of occupants to share. 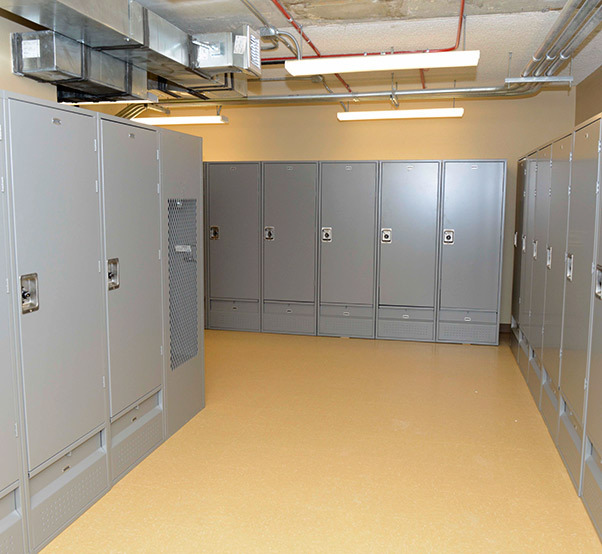 Large lockers are provided on each floor for Airmen’s personal storage. Additionally, the renovated building has a new parking lot and drought-tolerant landscape with exterior lighting. In 2003, the current Dorms-4-Airmen standard was established to allow each resident a private room and bath in a suite setting. Dorm 2423 was constructed in 1956 and was last renovated in 1994.The facility originally had interior hallways and later was reconfigured with balcony entrances, which allowed two Airmen to share a room, with two rooms connected by a shared bath. Air Force dormitory adequacy standards changed in 1996 to allow a room for every Airman with two Airmen sharing a bath and a kitchenette. 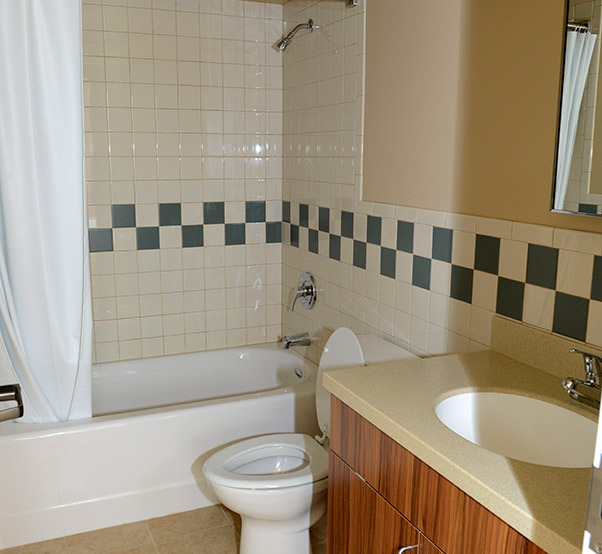 In 2003, the current Dorms-4-Airmen standard was established to allow each resident a private room and bath in a suite setting. Renovation of Dorm 2423 had been planned for years but was not funded until September 2013.The $6.8 million project began almost two years ago and included seismic, sprinkler and life safety upgrades. Interior walls were removed and asbestos and lead-based paint were abated. Centrally located for all occupants is a full-sized kitchen, two lounges, and a game room. 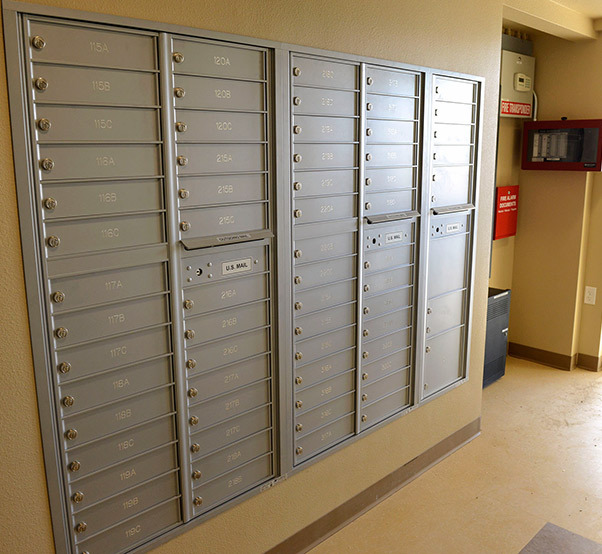 Mailboxes for every occupant of the newly renovated Dorm 2423 are located on the first floor. Large lockers are provided on each floor for Airmen’s storage of personal items.